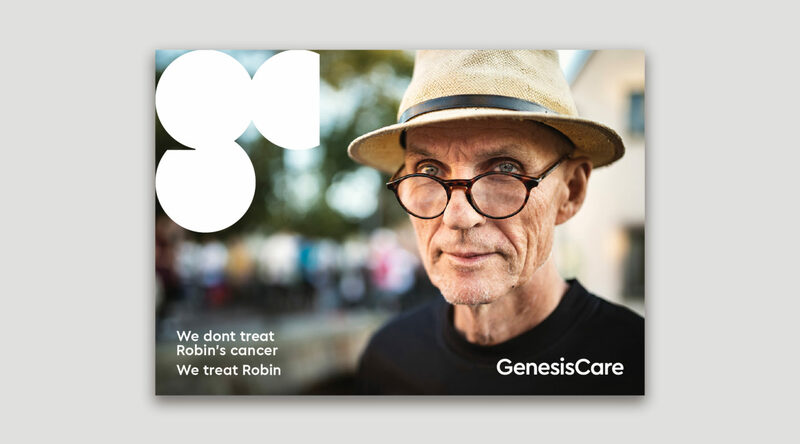 GenesisCare is an organisation of highly trained healthcare professionals and support staff, spread across Australia, the UK and Spain, committed to designing innovative treatments and care for people with cancer and heart disease. This passion was sparked after its founder Dan Collins supported his father through heart disease. Dan has led GenesisCare from a single cardiology clinic in 2005, to a global care leader with a growing number of over 130 clinic locations. GenesisCare had grown beyond its initial brand platform and identity, and was trying to determine how best to define and express itself as a global force for positive change in healthcare. As an organisation that had grown organically and through acquisition, the business also had a number of legacy brands in different locations that needed to be rationalised. 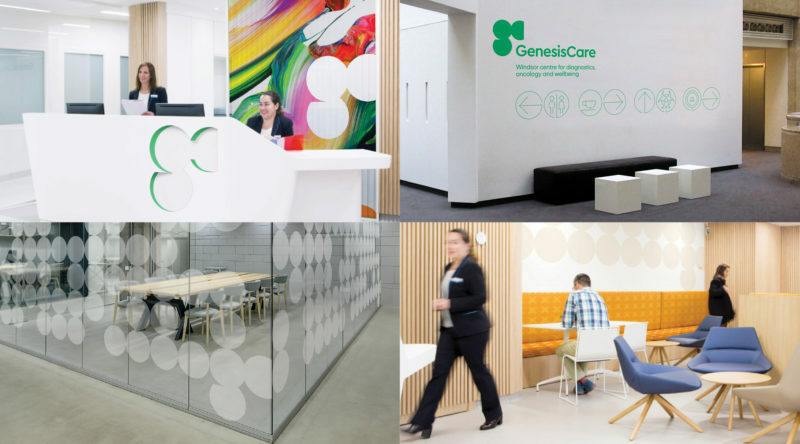 Through in-depth consultation and partnership, we recognised GenesisCare’s pioneering spirit and fast but considered way of working aligned closely to the principles of Design Thinking. ‘Designing Better Care’ became the core brand idea, as a platform for formalising how they work and achieve internally and also telling the story about what makes them different. we created a purpose and new set of behaviour-driving values to support this commitment. The new brand identity was designed to reflect this core idea; a distinctive and iconic shorthand for the brand that acts as both a logomark and a window into the world of ‘Designing Better Care’. Supporting this is a bespoke typeface, with colour and photography that goes beyond the expected and existing traits of healthcare businesses. 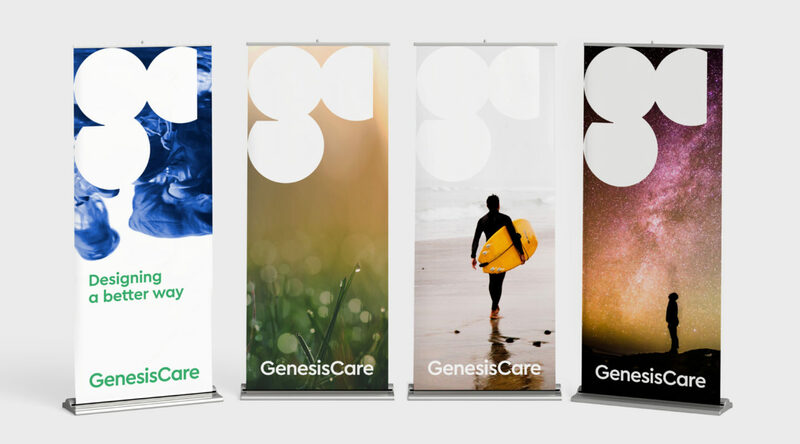 GenesisCare has evolved its brand to really show what makes the organisation a special, pioneering force in healthcare, as it moves into the next stage of its development. 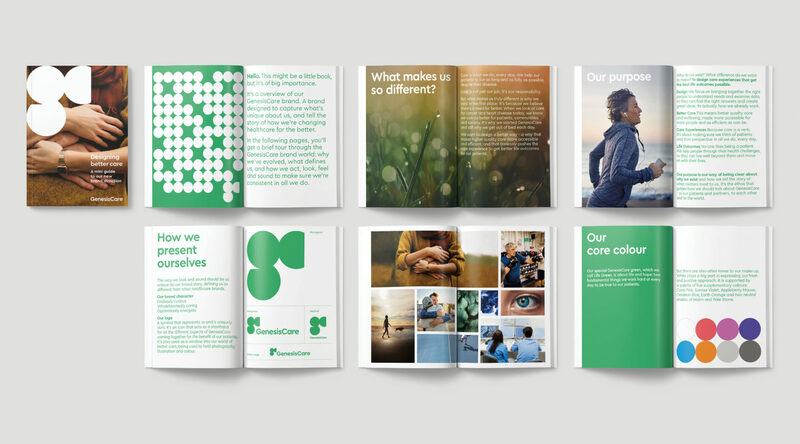 The result is a brand that helps focus internal decision making and creativity to facilitate better experiences for both staff and its patients, all expressed through a unique brand identity.